Is your garage getting increasingly cluttered and you can’t find the time to throw out the junk? Did you just renovate your house and now have a lot of construction rubbish that you don’t know how to get rid of? Do you love gardening but keeping one means having heaps of garden waste that you have no place to dispose? Save yourself the trouble, time and effort and call in our Dartmouth Park rubbish clearance experts at Handy Rubbish. Whatever kind of rubbish you have, we can provide its disposal for you. Even though we are based in Dartmouth Park, we cover a huge area in Camden, from Kentish Town and Hampstead Heath to Euston and St John’s Wood and everywhere in between and thousands of home and office owners have used our waste removal services NW5 for their property clearance needs. Our Dartmouth Park waste clearance services cover: domestic waste clearance, flat / property clearance, commercial clearance, industrial clearance, office clearance NW5, recycling, waste electrical and electronic equipment (WEEE) disposal. So if you need any of these jobs done, give our rubbish removal company in Dartmouth Park a call at 020 3540 8282 and see how we can help you. Why Should You Hire Our Waste Clearance Company in NW5? We are committed to sustainability and ensure that all our waste is sorted and as much as possible send for recycling. Our NW5 rubbish disposal services are at affordable prices through Dartmouth Park and adjacent suburbs. We provide fast, friendly and reliable services which can even be made available on the same day. Our crew members are trained in all kinds of waste disposal Dartmouth Park from any property you choose to call us at. Our removal and disposal methods are according to standards set by Environmental Agency. Our customer service experts are available at all times to answer any queries or issues you have. We have the necessary licenses and permits including a WEEE license for electrical waste disposal. 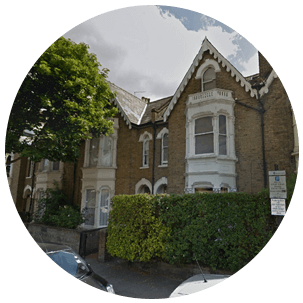 We understand that our clients have different Dartmouth Park waste collection NW5 needs, so we aim to tailor our service to your needs and convenience. At Handy Rubbish, you will feel that we made your job with pleasure! Just dial 020 3540 8282. Impressed and delighted with the end result. 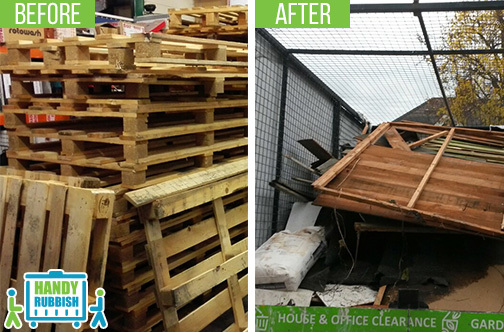 Not as easy as you'd think finding a top of the line waste clearance company in NW5, especially one that does such great work! I had to clear out my loft as I wanted to convert it. I turned to this waste collection company in Dartmouth Park NW5 and they really delivered on price. And the team were remarkable. They were polite, friendly and swift! Will hire them again! Dartmouth Park, in the NW5 district of north London, falls under the London Borough of Camden. It lies on the hill that rises from Highgate to Kentish Town and is bordered on the west by parliament Hill Fields. Most of the architecture in this region consists of late 19th century terraced and semi-detached houses although a few recent buildings have also cropped up n the area. Dartmouth Park is home to a variety of people, from young professionals and families to retired couples. Darmouth Park does not have a station of its own. The nearest Underground station is Tufnell Park tube station and the Overground railways services Gospel Oak station nearby, although a number of buses from London Transport also operate in the area. A small but attractive park on Dartmouth Park Hill, which have the same name as the district, contains mainly houses but also has a children’s playground and a green bank with impressive views. Although this area does not have any high streets, there are a number of independent shops in the neighbourhood that might draw one’s attention. The Earl of Dartmouth developed housing and streets in the area, some of which are still famous such as Grove Terrace which is an imposing row of Georgian town houses and Holly Lodge estate which has a number of Tudor houses and flats.